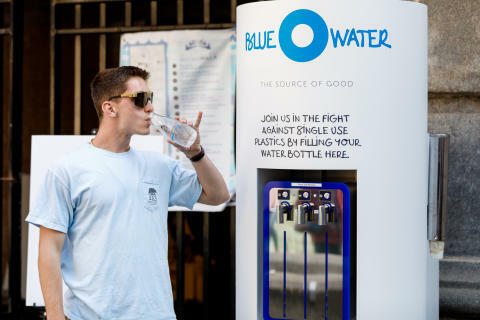 A Bluewater hydration station in Chicago, outside the downtown Chicago McCormick Bridgehouse and Chicago River Museum, turns tap water into pristine drinking water. In early October, a U.S research study revealed billions of people are drinking water containing plastic particles, with 83% of the samples from 14 nations contaminated by microplastic fibers. Euromonitor says humans produce around one million plastic bottles every minute, with global production set to reach 583.3bn year by 2021. Most of the bottles currently end up in landfill or the oceans. But plastic water contamination is just the tip of an iceberg. Research by U.S. environmental organisation EWG found nearly 100 cancer-causing contaminants in tap water, including nitrates, disinfection products and 1,4-Dioxane (linked to liver, gall bladder and respiratory system cancers). Herbicides are also being found in tap water. Glyphosate – one of the most widely used herbicides in human history – exists in 45% of Europe’s top soil. Described by WHO as “probably carcinogenic to humans”,glyphosate was found in in 80 out of 182 urinary samples taken from volunteers in a survey by Friends of the Earth across 18 countries. 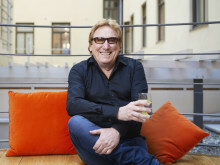 All of the above is why Bluewater founder Bengt Rittri, a Swedish environmental entrepreneur, is driving a movement to bring clean water access to everyone and help end the single use plastics plague. Bluewater's groundbreaking products not only remove contaminants such as lead and chemicals from water, but also do it more efficiently, more resourcefully than traditional reverse osmosis solutions, enabling humans to enjoy wider access to pristine water without needlessly damaging the planet.